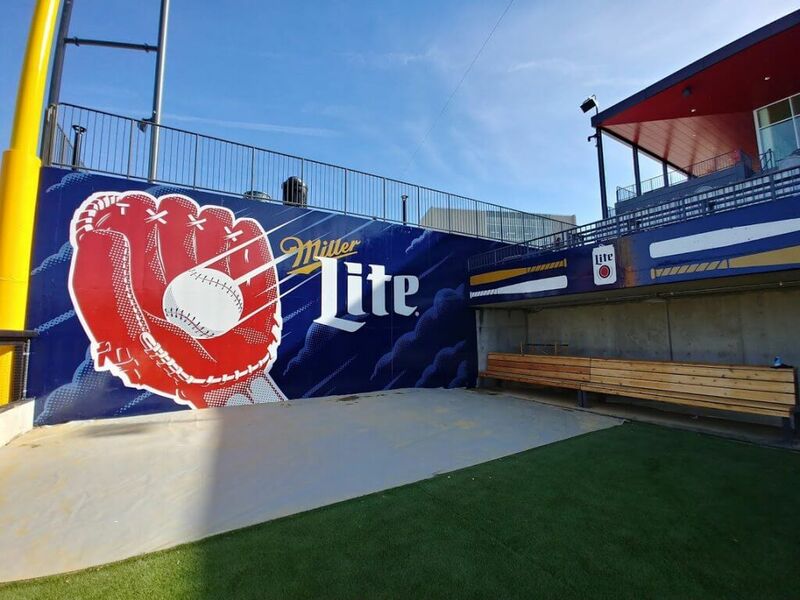 Chicago’s latest professional baseball team, the Chicago Dogs, recently threw out the first pitch in their brand new home park, Impact Field in Rosemont, Illinois. The Dogs (yes, of course their logo is a hot dog) are the newest members of the American Association of Professional Baseball. Their division rivals, in case you’re curious, include the Fargo-Moorhead RedHawks, the Gary SouthShore RailCats and the Sioux Falls Canaries. The Dogs’ brand new stadium and team in Rosemont are attracting large crowds in a booming area. This is great exposure for sponsors and their advertising. 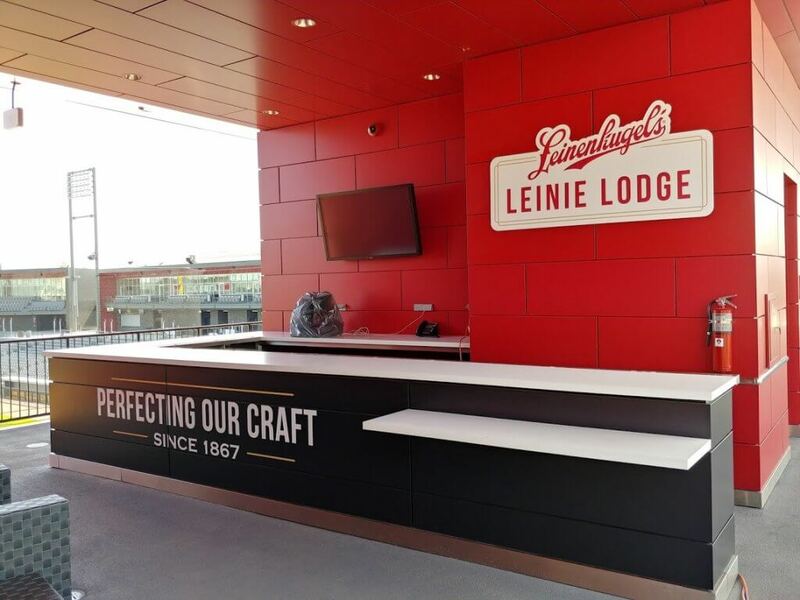 MillerCoors®, owners of the Leinenkugels®beer brand, is taking full advantage of the excitement with the creation of the inside-the-park “Leinie Lodge,” a full bar with indoor and outdoor seating for groups and individuals. 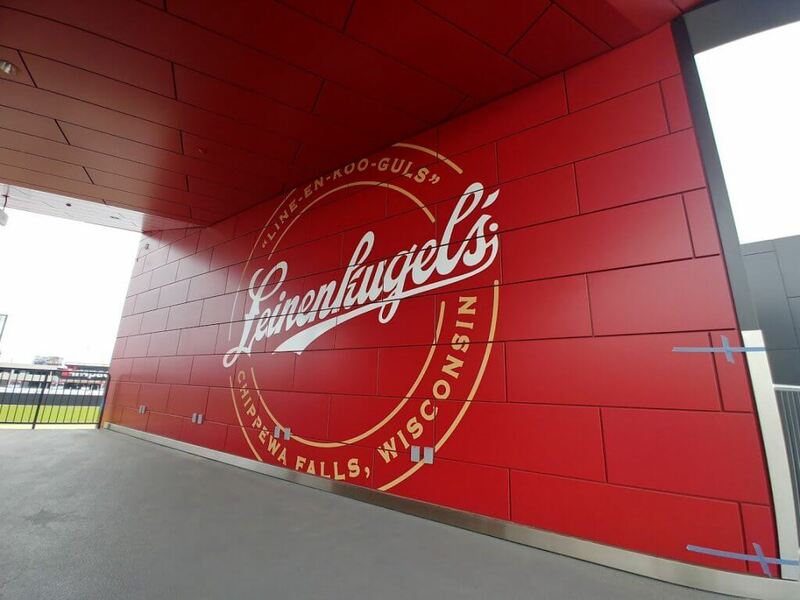 Leinenkugels beer will be on tap, and we at ER2 decorated the space with over 16 individual graphics in the distinctive red and white Leinenkugels livery. We’re a long time and trusted partner of GMR Marketing a long standing agency partner with MillerCoors. We’ve successfully executed a number of branding enhancements for them, including venues such as Arlington Racetrack, Navy Pier, Wintrust Arena, Riviera Theatre, Park West Theatre and the Vic Theatre. So it’s no surprise that Vic dela Cruz,our friend at GMR, asked us to execute and install the graphics at Impact Field based on their creative work and vision. Mark Schellerer, Vice President of ER2, recommended materials, substrates and installation methods after a complete survey of the designs and the site. 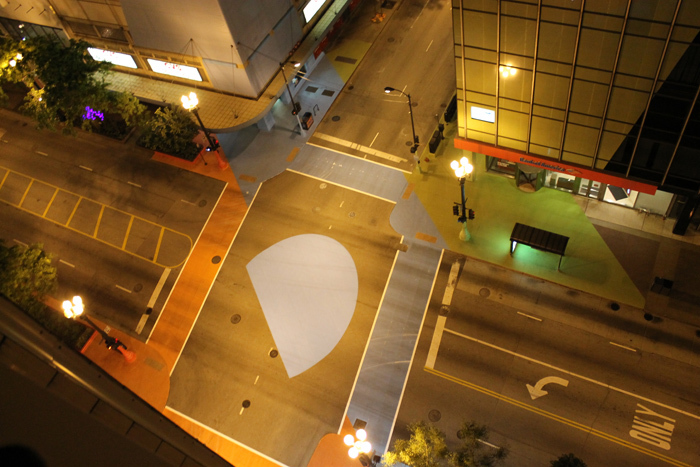 About two-thirds of the graphics (2,000 square feet) were to adhere to bare concrete. Since this was the case, we used a textured wall film called 3M Envision Print Wrap Film 480Cv3. This high-performance film offers great conformability for a wide range of long-term applications, such as indoor and outdoor signs. It’s perfect for a ballpark. 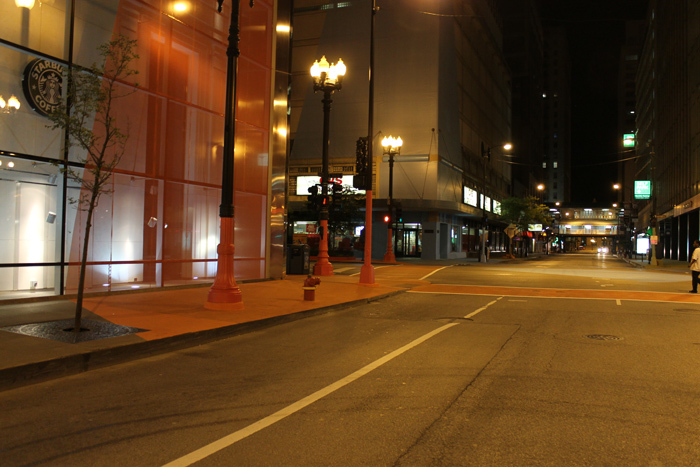 The installation of 3M 480 takes about twice as long as usual because of the heat required for adhesion. This would be a difficult for your average digital graphics facility, but we just happen to have the industry’s best nationwide installation team specifically certified by 3M for their products. In this case, the installers included Michal Mieczkowski, Chris Lemley, Chris Eyers and Jacek Lukasiewicz. They perform this type of application all the time, so they know how to get it done right. 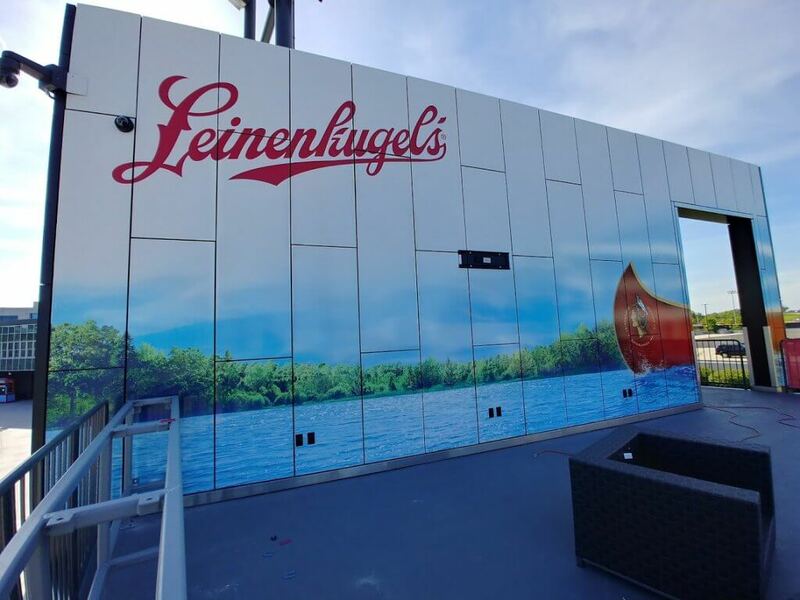 The design also called for a large dimensional Leine logo which was cut from white acrylic and the Leine Lodge sign itself, which was made from high-density urethane (HDU) which was routered and painted. 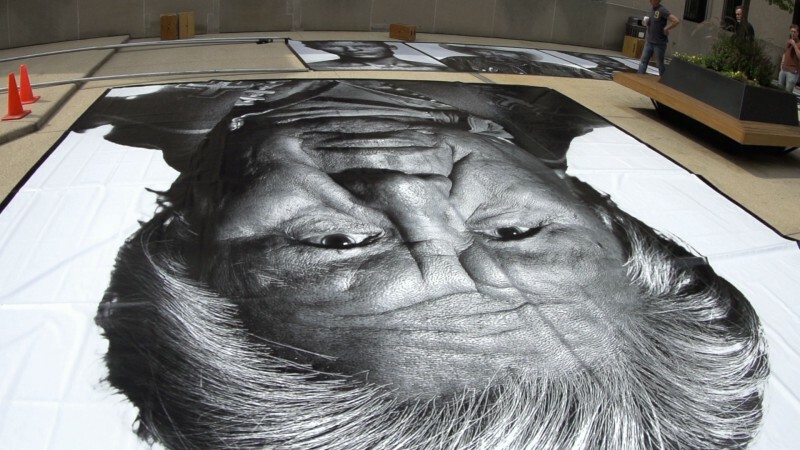 Together these pieces added up to 300 square feet of dimensional graphics. In addition, banners installed on railings required 600 square feet of blow-through mesh to avoid premature wind damage. What kind of graphics project do you have coming up? Please contact us and see what we can do for you.